All schools are required to have a comprehensive safety plan with specific roles and guidelines reviewed by stakeholders on an annual basis. While it does not call for a specific communications plan, verify the existence of the plan and share the components with the school community. San Bernardino City Unified School District Crisis Toolkit - This link is an example of the SBCUSD Communication Toolkit. Beginning on page 7, samples communication documents are provided to demonstrate how they communicated to: employees, social media, the district statement, and letter to the parents informing them of the incident. Crisis Communication Plan Toolkit - We recommend this resource provided by the Colorado NonProfit Association, a crisis communication plan toolkit. This toolkit includes a crisis communication policy, communication checklist, examples of phone trees, communication plan, sample press releases, decision tree, and post crisis review. The Canadian Centre for Emergency Preparedness - This group created a well-designed, 13-page crisis communication plan. This tool can be used as a template to customize for any school district. This document contains media relations tips and reminders for leaders and staff. Crisis Emergency Risk Communication - The CDC provides a document on crisis emergency risk communication. While this is a lengthy document, refer to the following pages for effective communication tools, tips and checklists. Pages 21-25: Best Practices for Communication (NIMS-National Incident Management Systems). Pages 31: Application of the plan during the first 24 to 48 hours. 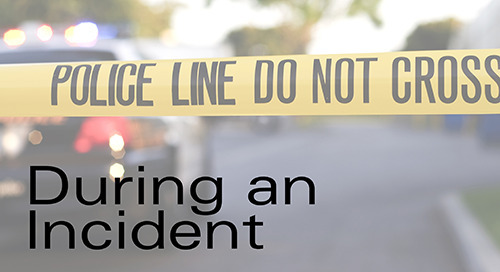 Pages 45-64: Provides a checklist that is crucial for the first 48 hours of an incident. Six Key Elements of a Crisis Communication Plan - If your district is creating a detailed crisis communication plan, the information compiled by the Cassling Organization is a great one to use as a model. It includes a concise definition of a crisis, followed by the six elements. 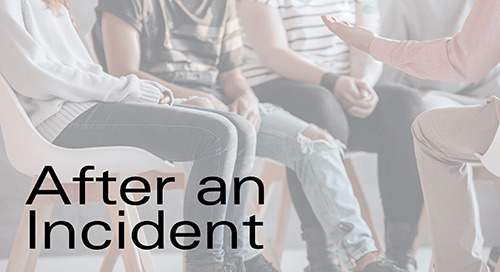 American School Board Journal - This article includes tips for crisis communication and can be used as an article share during staff meetings or with a safety team. US Department of Health & Human Services - This is a lengthy document for crisis, emergency and risk communication. It has a valuable communication checklist for the first 48 hours of a crisis that can be reviewed and planned for ahead of time with safety teams and a district’s communication department (pages 45-64).